The in form Bloods headed out to Kevin Bartlett Reserve in Richmond to take on the oddly named Snakes. With a pre match barb from the Richmond Central social media folk in the form of the downright nonsensical hashtag #snakeseatbloods it was game on. Unfortunately this scribe was stuck in Saturday traffic for the entire first quarter and upon arrival at KB Reserve was greeted with the majestic ¼ time scoreline of 4.4.28 to 0.3.3 in favour of the travelling side. Word was that Billy O’Loughlin after an inspirational pre match coffee with Coach Naulty had come out firing and kicked 4 snags in the opening stanza, including one special effort from the boundary. A 7 goal second quarter to The Bloods was partially matched by 5 from The Snakes however the half time lead still managed to blow to 38 points. A big 3rd quarter was required to ice the game and a big 3rd quarter was what the travelling fans were treated to. A ¾ time margin of 72 points was probably not fully representative of the dominance The Bloods were having on the game. A 5 goal 8 behind final term probably hid the true dominance of the day. An 85 point final margin was a nice way to finish. A pleasing aspect of the day was that once again the travelling Aquinas fans outnumbered the home fans. We really do have the best and most loyal supporters in the division. It helps enormously when even at an away game we have more noise coming from our supporters. The really impressive part of the game was that of 18 year old Tyson Noyes who in just his 2nd senior game was quite clearly best on ground. The talents of the young brigade of Noyes, Costello, Grech, Mattioli, Di Donato, Foley, Wright and O’Malley were on show for the world to see and we were stoked. All 8 are under 20 years of age and with those boys at the helm the future at Bloods Stadium looks more than bright. Billy O’Loughling and Jake Cawsey both finished the day with 5 goals whilst Lachie Naulty bagged 4 and Daniel Foley 3. The Magoos travelled out to the Yarra Boulevard to take on the 4th placed Richmond Central in an all important match up. A win would guarantee the Reserves a spot in the finals, as well as keeping them alive for a double chance. The team saw an inclusion of familiar faces in unfamiliar places, with the addition of Phil Jurkovsky, Sam Williams, Callum Cormack and Tim Niezen, who took the field at 11:40. The first quarter saw the Bloods in full control of the play, however unable to capitalise on their dominance in front of goal. The Snakes slithered their way to a 3-goal quarter against the flow, leading the game by the narrowest of margins at the first break. O’loughlin and Jurkovsky linked well together through the midfield, as the forward line began to take the most of their chances. Kinghorn and Reid shared a couple of goals between them, giving the Bloods a serviceable lead. However, Richmond fought back late in the quarter, kicking three goals of their own within 2 minutes left to go in the term. Despite holding a 3-goal lead, the Snakes managed to head into the main break with a 1-point lead. The break certainly didn’t slow down the momentum of the home team, with Richmond booting 5 goals to just 1 in a total dominance over the Bloods. Aquinas went into the last quarter trailing by 4-goals, and the double chance beginning to fall out of reach. Led by playing coach Hayden Judge, the Bloods went on a roll and kicked 4-goals unanswered, with captain Michael Palmer kicking an unbelievable goal from the pocket. The game was dead locked as Richmond began to force the game into congestion to try and halt an Aquinas onslaught. That was until Matthew Westwood took a spectacular contested intercept mark and kicked truly to put his team 10-points in front. To their credit, Richmond bounced back almost immediately, kicking a goal to put themselves within 4 points of their opposition. The Aquinas backline were monstrous in the final term, led by Naish Campbell and Jay Hamilton who stopped countless forward thrusts from a desperate Richmond outfit. The final siren confirmed a famous come from behind victory for the Aquinas reserves, with their brave win setting up a strong push for the double chance in the finals. The Aquinas Women were pulling on their red, black and green jumpers for the last time this week against Old Ivanhoe. The U19’s formed a guard of honour as the inaugural Aquinas Women’s team ran out for last time in 2018. This game was about celebration, strength and relationships as we looked back at how far we have come over the year. The women used inspiration from the talk they had had with Tim Livingston that week, and reminded themselves of the connections and relationships that they had built on and off the field and use moments in the game to celebrate each other and the hard work we have put in this year. The Women started strong against a team that is looking good for finals. Caitie Flanagan with two for the day kicked us off in the first minute of the game. Caitie finished on top of the goal kicking for 2018. The Old Ivanhoe Girls responded well, cementing their spot in finals with a 14 point lead into half time. Plenty of gas in the tank, the women were proud to finish the game with their heads held high knowing they gave everything. Molly Sheehan, Sally tran 1 goal each, couldn’t quite get us in reach of Old Ivanhoe. Best players for the day were Emily Winters, Rach Mackay, Em Okeefe, Alyce Bishop and Sophie Matthys. Sophie has played consistently well over the year, and was a pocket rocket on the wing. She has shown commitment, courage and was always willing to work hard on and off the field for herself and her teammates. During the Women’s Silly Sunday vote count, Sophie polled in 11 out of the 13 games she played. She trailed Rhianna Agostini by 14 heading into the last round but a BOG performance and 15 votes sealed the deal. Sophie played her best game in the last week, assisting her in walking away with the inaugural Best and Fairest award for 2018. While I’ve got you, the Women are so incredibly thankful for all of those that helped us over the season to give us the knowledge and skills we need to take the field. Just a few to thank now; Nick Morrison-Storey for your knowledge and insight of the game, Mick for our chicken schnitzels, Craig for doing the score board, Nicki for ensuring all of our jobs a filled, Mitch for giving up his time to teach us the skills we need and Jack for having the passion and vision to start this and giving up his time for the benefit of 37 women. The Unders took on Mazenod at home, keen to atone for their 2 goal loss earlier in the season. We started strongly with the Wiz putting on a show with 4 1st quarter goals and Joffa kicking a beauty after selling some candy, if we’d kicked straighter 5.10 at 1/4 time it would of been game over. The 2nd quarter was all Aquinas but bad kicking again saw us waste our opportunities, the on ball division of Dodd, Shepherd, Reichart, Kerr and Robb were dominating at the stoppages but our forwards were not converting, 8.15 to 1.1 at half time. The Coach wanted more goals in the 3rd and he got them, with The Bloods piling on 11 goals for the quarter, with Cobb Baxter kicking 5 and the Wiz another 2 to give us a commanding 21 goal lead heading into the last. We changed things up a bit in the last, with Dangerous Dan McKinney kicking his first goal of his career the highlight of the quarter, in the end a 130pt victory. Pick of the goal kickers were Harry Dwyer with 8, Baxter with 4 and Mantel 3 whilst best players were Robb, Dwyer, Reichart, Mantel and Burgess in his first game since Round 2. Big game this week as we take on 2nd placed Old Paradians, a win sewing up top spot and the all important double chance. 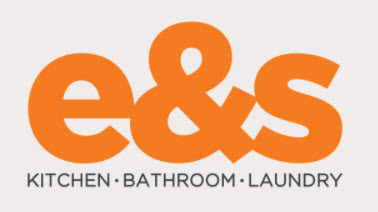 A huge thanks to E&S for their generous sponsorship of the Aquinas Women’s Football Team.